It's a Solar Green Tea kind of day! 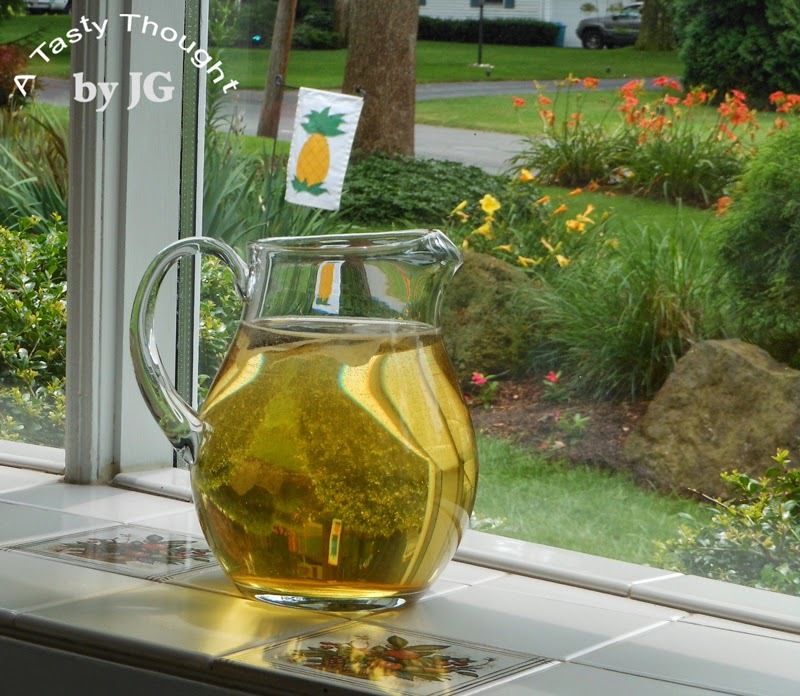 The sun is shining & my pitcher of water containing 3 decaf Green Tea Bags is in the window. A typical summer week. The flavor started to grow on me! Balsamic Vinaigrette! I'm not sure when, but whenever we ate dinner out this dressing was my choice for salads. Then, I purchased a bottle of a commercial brand for my salads at home. When I discovered the OXO Salad Dressing Shaker for making/ storing salad dressings, I purchased one. That's how it all started. Balsamic Vinaigrette is quite simple to prepare. The ingredients are placed into a container & shake, shake, shake and shake again. Repeat if necessary! Then one evening while dining out I enjoyed Raspberry Balsamic Vinaigrette. Oh, the sweetness combined with the tang & flavor of raspberries! Yum, yum, yum! Now fast forward... it's Blueberry season! Blueberry Freezer Jam time, too! 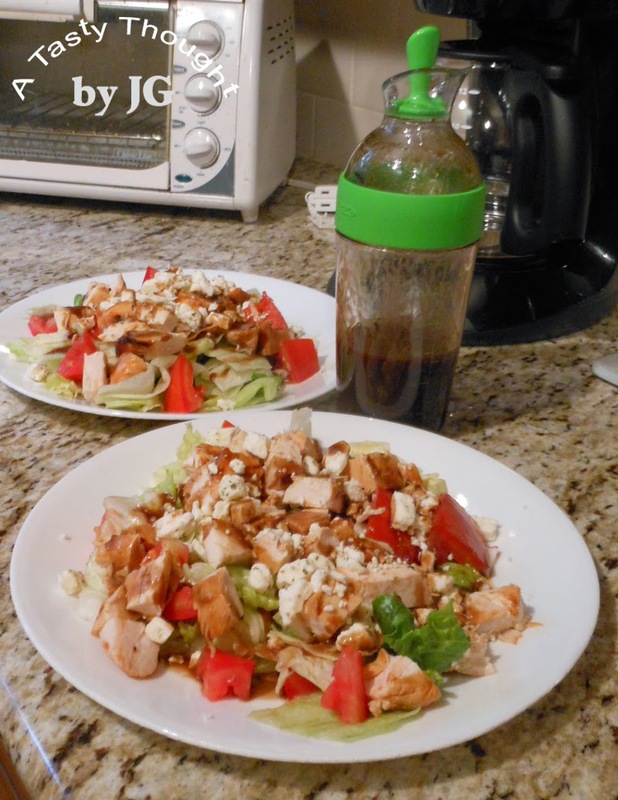 Last night I took out the handy green OXO Salad Dressing Shaker and made another delicious Balsamic Vinaigrette - Blueberry Balsamic Vinaigrette. 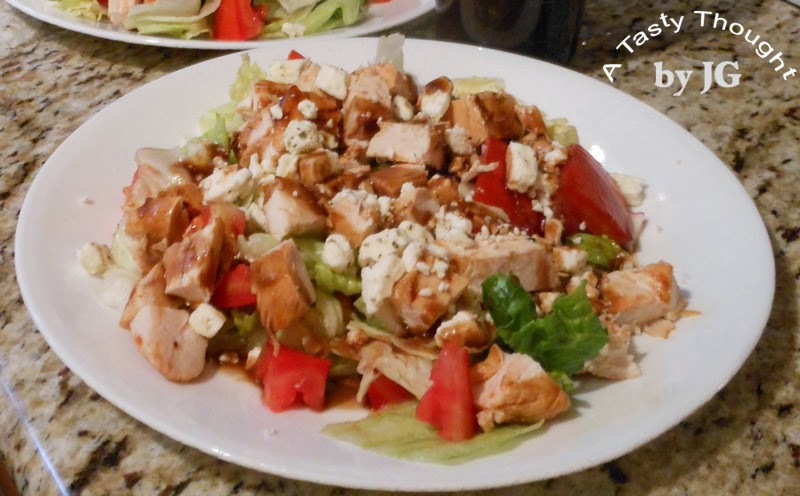 Drizzled over our cold grilled chicken salad plate it was delicious! I haven't purchased dressings in quite a few months, because I'm totally hooked on Balsamic Vinaigrette. What can be better than a dressing made with Olive Oil??? And making it yourself??? And controlling the ingredients??? About 20- 25 minutes before using a Balsamic Vinaigrette, I take it out of the fridge to warm it up a bit, before shaking it & drizzling. Then back into the fridge it goes. Add 1 Tablespoon Blueberry Jam or Jelly. Shake, shake, shake & shake again. Repeat. For Raspberry Balsamic Vinaigrette use Raspberry Jelly. Do you enjoy the taste of a Balsamic Vinaigrette? Try it, you'll like it! Plain, Blueberry or Raspberry! A little drizzled over a salad goes a long way! Waiting for Certo/ Lemon Juice to be added. Was just jammin today. Well more like listening to Rod Stewart, Billy Joel & Bruce Springsteen while making Blueberry Freezer Jam. It's Blueberry season here! 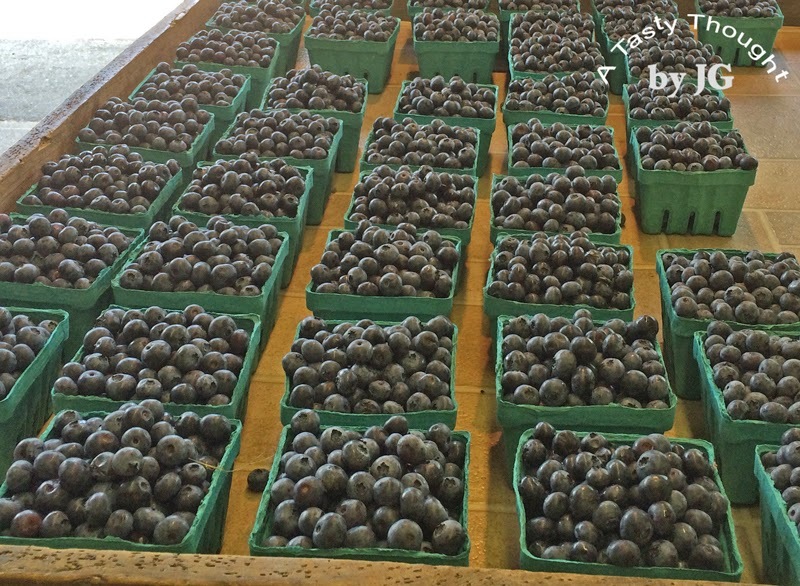 The time to purchase the fresh local blueberries from Calabrese Farms in Southwick, MA. It's just a short drive away. It's a tradition for me to prep & freeze the sweet yummy local berries & also make the year's supply of Blueberry Jam! 3 batches each made separately was accomplished this afternoon. Now the freezer containers are sitting on our dining room table for the 24 hour period - basically making itself! Suddenly this past spring, there no longer were containers of my homemade jam on the top shelf of our large freezer. The good news was that we enjoyed it. The bad news was that a commercial brand needed to be purchased. Well, it doesn't have a consistency nor a flavor that we are fond of... at all. I've been waiting for the fresh local fruit to ripen! The Certo liquid fruit pectin was purchased weeks ago along with containers & Sugar. ***The directions are found in the Certo box! I was almost good to go! 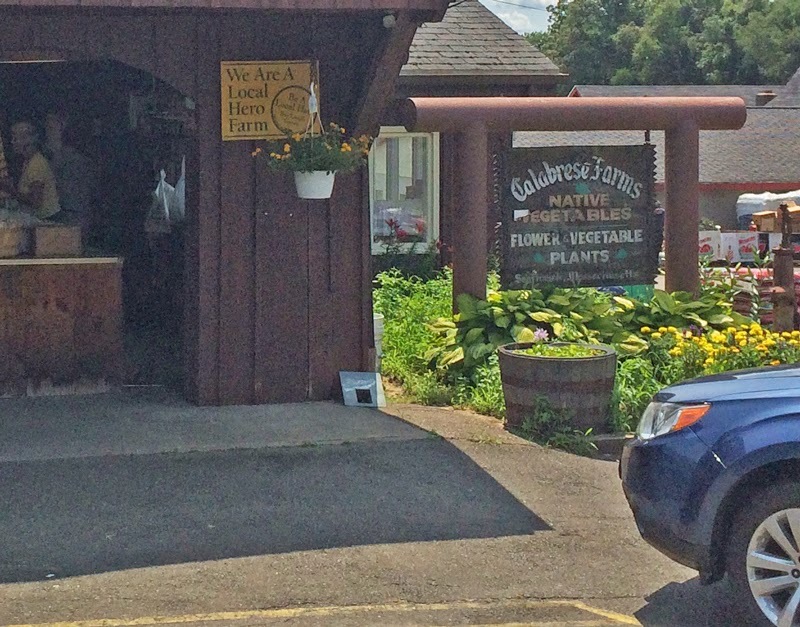 Yesterday, the fresh local Blueberries needed to be purchased from Calabrese Farms. Pints & Pints & More Pints of Blueberries! Yesterday was Day 1 - freeze the year's supply of Blueberries. Today was Freezer Jam Day. Tomorrow afternoon at the designated times, the 3 batches of Blueberry Freezer Jam will be placed on the top shelf of our freezer - next to the Strawberry Freezer Jam. This is a great time of year with all of the local veggies & fruit! It's great to enjoy them now & also prep/ freeze them to enjoy later! The sun is shining and we are surely making up for the chilly damp days of spring. This AM I was unsure what we would have for dinner. 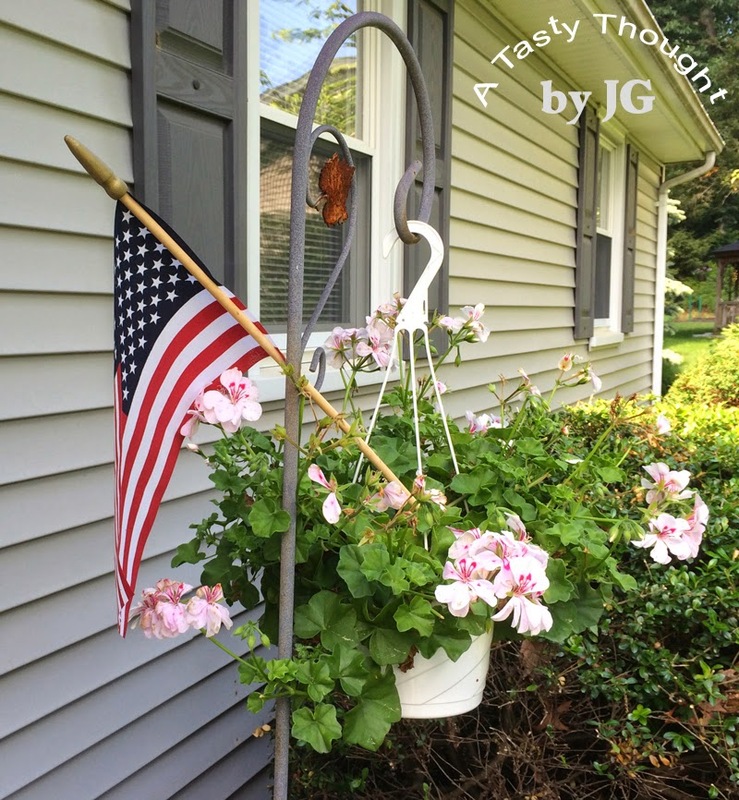 When I asked my DH, he reminded me of a blog - A Tasty Thought by JG. It is summer and suddenly I remembered my top blog post of ALL time. So, it was definitely a day to purchase the fresh "wild caught" Haddock in our local grocery store and find my grill basket, because it's outdoor grilling time tonight! 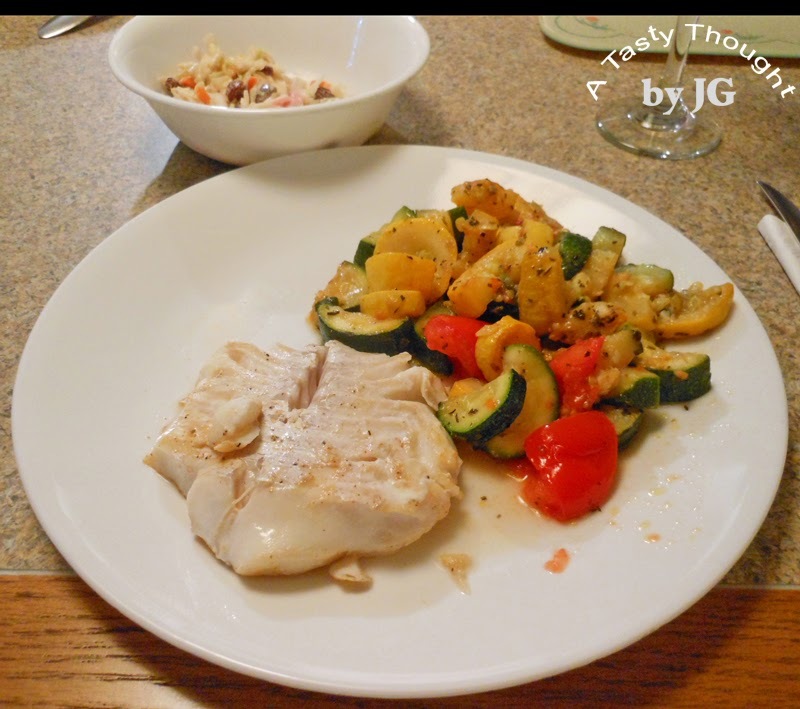 This recipe is very easy & yes, previously frozen "wild caught" Haddock also tastes great! Sprinkle a little Paprika & Thyme on top. Rinse Haddock Fillets under cold running water and place on top of Olive Oil & Spices. Turn Fillet(s) over to coat other side. **A 1 lb. piece requires 5 - 8 minutes on each side, depending on thickness of Fillet. Turn Fillets over one time to grill during grilling process. **Grill the Fillets slowly using a Low to Medium heat setting to retain the moisture. Summer, the outdoor grill, an easy meal to prepare - what can be better? 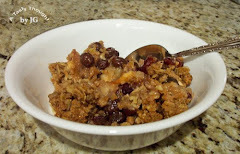 The 2 side dishes will be posted other days. They were so tasty served along with the Grilled Haddock! Arthur brought rain yesterday, so the Fourth of July celebrations including grilling outdoors are being enjoyed today by so many of us on the East Coast. 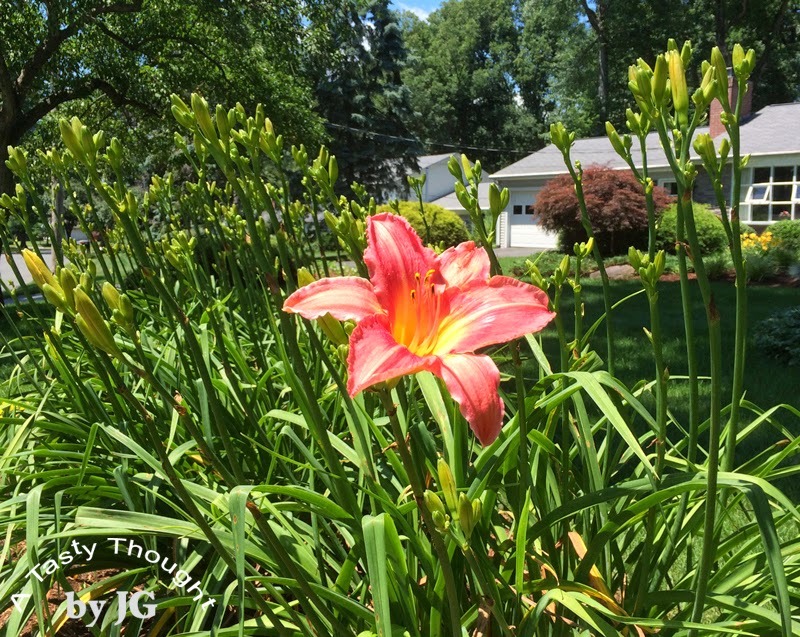 This AM the blue sunny sky brought a wonderful surprise- the "first of the season" - a Salmon Daylily in our front cut-out! Buds #2 & #3 will open tomorrow! 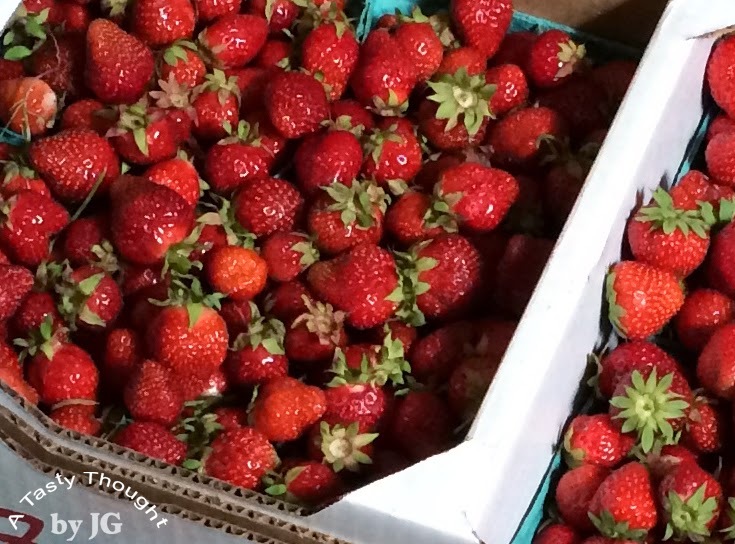 Local fresh juicy sweet Strawberries! "Timing is everything!" How often have we all heard or used that expression? It's been so true these past few days for me. My year's supply of local, fresh, juicy, sweet strawberries had not been purchased, so they were not yet cleaned/ prepped for our freezer. June was leaving & it was getting late in the strawberry season, here. Sunday was designated "Strawberry Day". The short drive to Meadowbrook Farm in East Longmeadow was made. That afternoon bags of cleaned sliced strawberries were placed in our freezer. 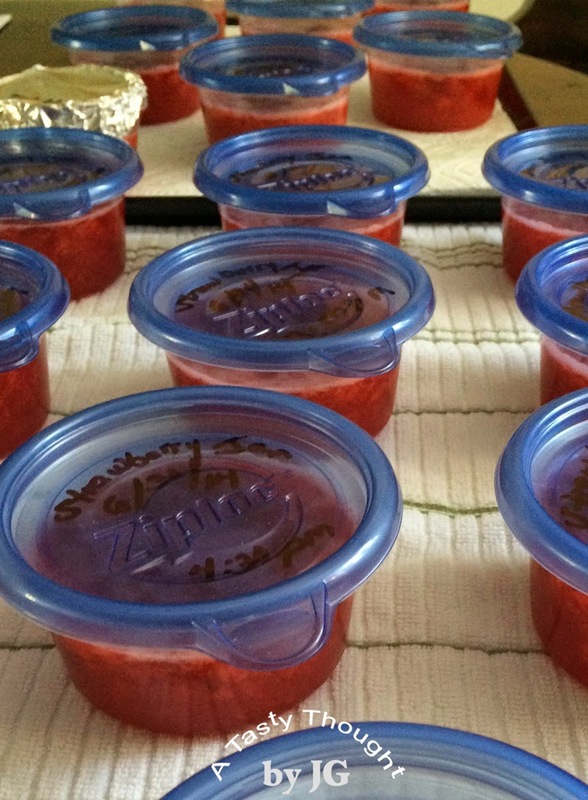 Yesterday was "Strawberry Freezer Jam" day! The Certo, sugar & 1 cup Freezer containers had already been purchased. 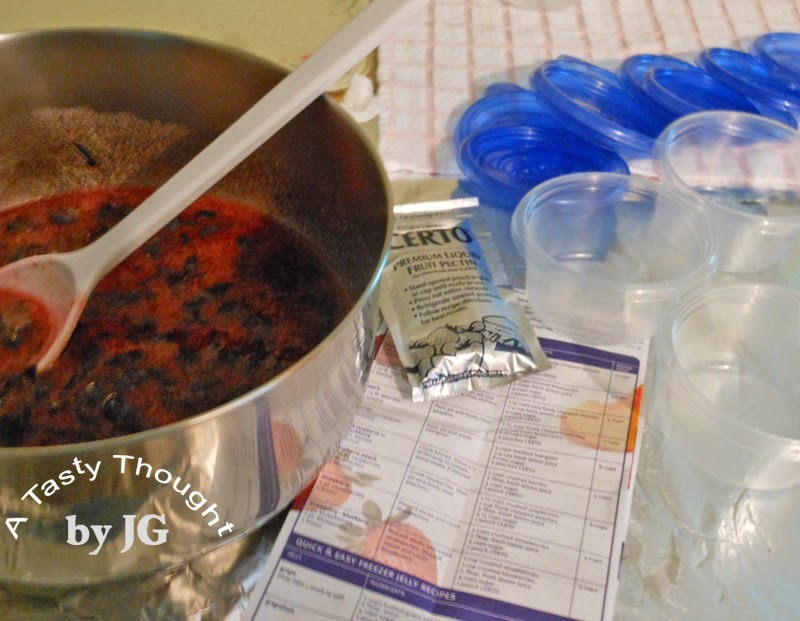 A little mass production was going on in my kitchen to prep those 3 batches of Freezer Jam. Henry Ford would have been impressed! Today those 3 batches of jam will be placed on the top shelf of our large freezer - each batch at a different time. ***At a different time, because for best results, each batch is prepared separately. The cleaned utensils, containers & strawberries were ready! The directions for Freezer Jam is located in the Certo package. I also read over my own helpful hints (click here) before starting. Now, I usually make 2 batches of this variety of jam, but this spring, suddenly there were none left of any variety. Commercially prepared jam/ preserves/ jellies are o.k. I'd much rather spend the time during the summer making jam when our local fresh fruits are ripe & prepare my own that tastes so yummy! It is so much more tasty than just o.k. The Strawberry Freezer Jam is now sitting on our dining room table "doing its thing" for 24 hours. After the 24 hour time period, the containers will be placed in the freezer. (The foil covered custard cup of jam will find a home in our fridge.) The last batch will be placed in our freezer at 4:30 PM. I will definitely need a "place the Strawberry Jam in the freezer" break while watching our USA Soccer team! Timing is everything!